A GPS tracker is a type of surveillance technology that uses a Global Positioning System, or GPS to keep close tabs on a person, vehicle or some type of property. A special device links to the GPS satellite system to record longitude, latitude, and movement, including ground speed. GPS uses a variety of satellites in orbit over the Earth to coordinate with a receiver device carried by the asset. Accuracy can vary depending on the number of satellites that the device is linked to. Their position, as well as the orbital dynamics of the satellites, might vary. Ideally, the system is the most accurate when it is linked with four satellites, but it can still provide information with only three. Originally GPS technology and the ability to track an assets movement started out as something that was limited to the military or technologically savvy individuals. Today GPS equipment and software have become so widespread and affordable that it can be linked to a tracker device, a smartphone, tablet, or other wireless devices. This makes it readily available to just about anyone who is interested in tracking a person or asset’s movements. Police, firefighters, courier business, and the military all benefit from the use of GPS tracking. One of its more popular uses is as an Automatic Vehicle Locator or AVL. An active AVL system typically incorporates a network of vehicles that are integrated with a mobile radio receiver, a GPS receiver, and a GPS modem with a GPS antenna. When all these devices are linked up the vehicle in question can be accurately tracked to within a meter. It can then be tracked through computer station interface. The GPS system uses interactive maps instead of old-fashioned static map images on the internet. These systems are popular for monitoring the accountability of personnel in the field as well as finding ways to boost route efficiency for delivery vehicles. Of course, this is not the limit of GPS tracking technology. Indeed, many law enforcement entities have found innovative ways to use GPS for things like GPS tracked firearms and GPS dust that can be applied or sprayed onto a target’s clothing or vehicle, allowing it to be tracked without the inherent dangers that come with high speed or personal pursuit. Some companies will have GPS trackers placed inside of an employee’s mobile device to track their movements and ensure they are where they are supposed to be at the correct time. Not only does this improve employee accountability and limit potential fraud, but it can also help determine efficiency in daily operations. While GPS certainly has benefits. Yet many privacy advocates complain that it can also make it possible for government agencies, cyber-stalkers, hackers, and even advertisers can use GPS tracking data inappropriately. GPS tracking uses the Global Navigation Satellite System of GNSS to provide highly accurate information on the assets exact location. Which may include movement as well as speed depending on the number of satellites that can read the tracking device. The network uses microwave signals to connect with the device. Three satellites will provide information on where the device is, but four is necessary to include three-dimensional information and accurate movement. There is some debate about the pinpoint accuracy of GPS, depending on the number of satellites that are reading the device, as well as things that could be causing signal interference. The United States SPS Performance Standard, states that GPS signals are accurate to within 7.8 meters, or 25-feet. This has a 95% confidence level when it’s calculated based on the distance between the satellites and the tracking device’s receiver. However, there are several GPS device manufacturers who claim higher accuracy rates. This can vary from one to the next and may need to be verified by the end user. Most manufacturers state that GPS tracking devices are accurate to within 3-meters. What type of GPS tracking devices are there? GPS device manufacturers strive to put their own spin on GPS tracking devices based on the intended use, the asset it’s tracking, and the needs of the intended user who will be tracking the asset. This means there many different types of devices available on the market today. These are designed to monitor people, some can be multitasked to track pets. This usually comes in the form of a personal device that can be put in a pocket, a bracelet or collar that can be worn, or a subcutaneous chip inserted by a veterinarian. Is very similar to personal trackers. Except the GPS tracking device is attached to an item. This might be a high price item in a store, an item that has a history of attracting shoplifters, or even something as simple as a shopping cart that shouldn’t go beyond the confines of the parking lot. Is more common with delivery vehicles and it uses cellular signals. It keeps track of the route the vehicle takes. The data can later be analyzed and perhaps matched with other data like traffic patterns to develop more efficient routes in the future. Are similar to cell-based trackers. However, they are more popular for tracking vehicles that may go out of range of a cellular tower or travel through places where there is a lot of RF interference. Real-Time Active Tracking Devices are designed to collect information while also transmitting data and via satellite or available cellular networks. This allows the user to track the location, direction, and relative speed of the GPS tracking device in real time. A real-time GPS tracking device needs to have a constant connection to portray accurate data. This usually comes in the form of a GPRS connection, which differs from track logging which does not require this type of connection. A Passive GPS tracking device are also called GPS data loggers which stores the collected data on the device. For this information to be used the tracking device needs to be removed from the vehicle and the data is then transferred into a computer for analysis. Passive GPS tracking systems are good for individuals who want to do something like track their miles driven for work purposes. It is also popular with businesses that provide employees with a company vehicle and want to ensure that there is no misuse. 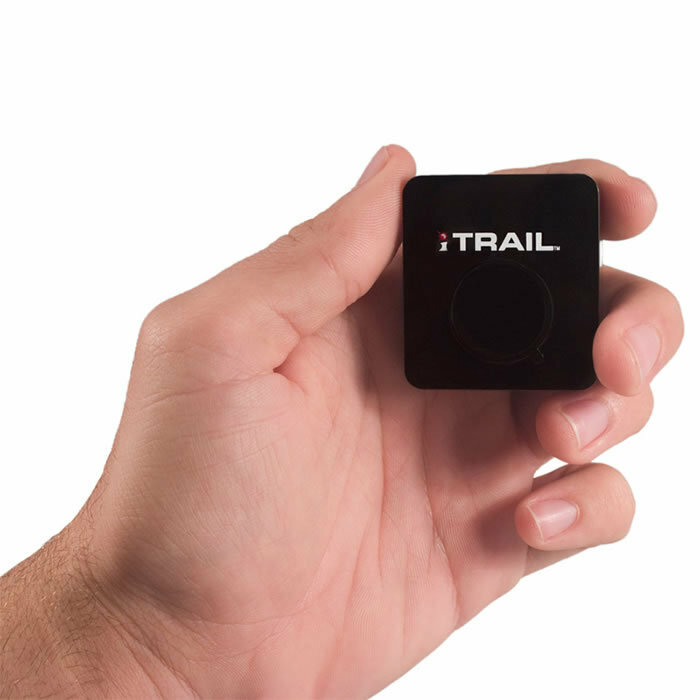 A passive GPS tracking device is typically small. They are also very affordable, which makes it a good market for manufacturers, retailers, and users. 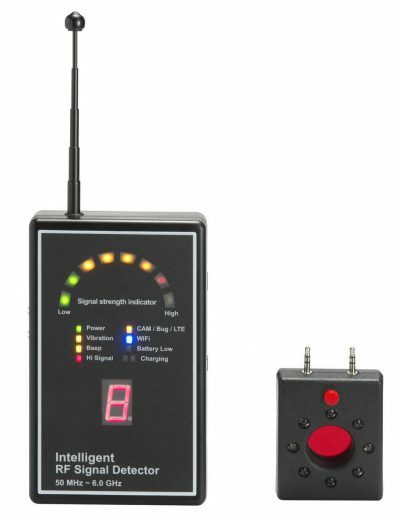 Privacy advocates would note that this type of device can often be used inconspicuously, to monitor a person or vehicle’s movements throughout a given span of time. 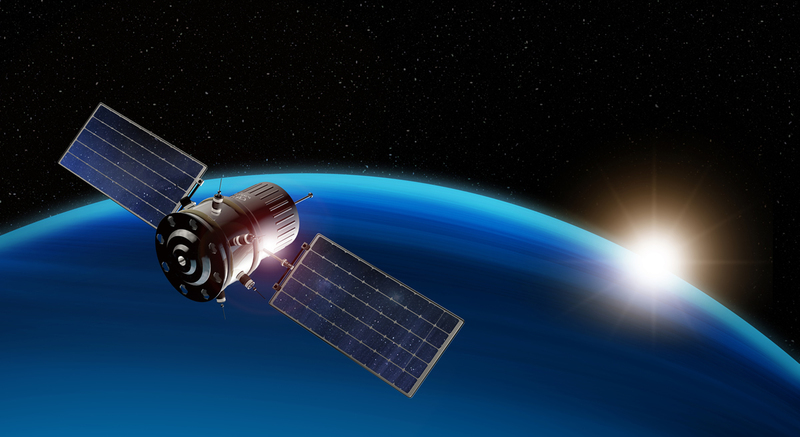 Satellite GPS tracking systems employ a variety of signal sources and devices including satellites, receivers, transmitters, and cellular networks, to effectively track time and location information. Many vehicle GPS satellite tracking systems can also tap into a vehicle’s onboard computer systems. This can allow the user to access the vehicle’s information. Some of the more sophisticated models can even be used to control certain aspects of a vehicle’s operations. One example where this could be used in the future is to fit all new vehicles with a system like this. In the event that the vehicle is used in committing a crime, law enforcement could access the onboard computer and shut down the fuel system. Also known as Onboard Diagnostics, an OBD GPS trackers is a GPS-based system that connects to a vehicle’s self-diagnostic and reporting capability. It can help the vehicle’s owner or repair technician to access the status of a vehicle specific system. Some GPS tracking devices are powered by batteries, which gives them a limited lifespan of operations. A hardwired gps tracking system gets its power directly from the vehicle electrical system. This means there are no batteries to charge. They are also relatively easy to install. They can also be easily concealed! 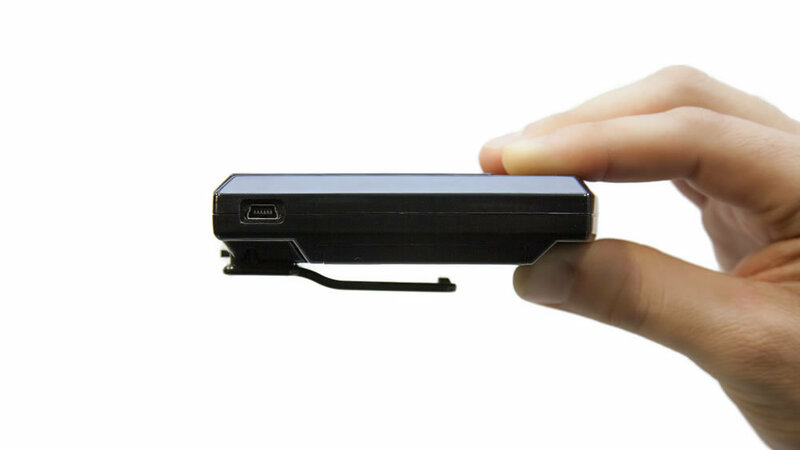 Battery GPS tracking uses a small device with an integrated or removable battery. It can be placed quickly and doesn’t require special installation. With most of these units, the battery can last anywhere from two to five days. At that point, the device or the battery will need to be removed and recharged or replaced. Yet, battery technology and efficiency continue to improve. There are some battery-operated GPS tracking device manufacturers who claim to have units that can last for up to four weeks! What Can You Track With A GPS Tracking Device? Depending on the type of device you choose, and the type of data you need to collect, GPS tracking devices can serve many beneficial purposes. Like company cars can be tracked for mileage, as well as monitoring for potential misuse. At the same time, a car tracking device might be inconspicuously placed on an individual’s car by a private investigator or law enforcement to track a person’s suspicious movements. Many contractors, and service companies provide employees with vehicles for work purposes. Tracking their whereabouts helps monitor for misuse, and in some cases, the data can be analyzed to improve travel time efficiency. Delivery and transport companies often benefit from logistics information. When using a fleet tracking device, individual tracking information can be gathered from multiple vehicles in a fleet, to determine areas where improvements can be made in route selection, transport efficiency, and delivery times. It can also provide insights into traffic patterns during certain times of the day. There are a variety of reasons why you might need to track the movements of an individual. This could include covert purposes where law enforcement needs to know where a person of interest is located, or where they are moving to. Many businesses may need to keep track of an individual moving throughout a campus of buildings, which might include a warehouse with high-value assets. A lost pet can be a very distressing experience, especially for a child. There are GPS chips that can be placed in a collar that can be used if the pet goes missing. GPS tags have also been used by wildlife experts to track animal migration patterns and other movements through a regional habitat. Boats and other watercraft can be outfitted with GPS systems that run off the boat’s primary electrical power. Satellite GPS can be used to find boats or cargo in the middle of the open seas. Some of these systems also have special emergency buttons that allow them to communicate with first responders, rescuers or FEMA. Commercial and recreational fishing boats can also be installed with satellite GPS systems which are integrated with special software that indicates structural features. They also allow the user to mark waypoints and record data. Many fishing enthusiasts will use a GPS system like this with their sonar system, and cartography software to improve their catch rates. With high-value items like bikes, recreational vehicles, artwork, stored money, shipping containers, trailers, and more can be tempting targets for theft or fraud. Sometimes these assets need to be stored in a separate facility during specific seasons, or for long durations of time. Being able to monitor their whereabouts provides the owner with additional peace of mind. In the event that the asset is stolen, the GPS tracking device might be used to locate the missing property as well as the persons who took it. How Small Is a GPS Tracker? A GPS tracking device can vary in size depending on the type and the power source. For example; a battery-powered GPS tracker is often larger than a hardwired tracker, as it needs to include a volume of space for the battery. However, battery technology continues to evolve offering even smaller batteries. What are the benefits of using a GPS tracker? Global Positioning Systems continue to find new and innovative uses in modern life. Many individuals and businesses rely on them to assist with things like finding their way through a new city, to track valuables, keep tabs on children, and monitor the movement of vehicles. Advanced GPS technology also allows law enforcement, and emergency services to find individuals of interest, individuals who need assistance or to track suspicious items. Some commercial industries also use GPS tracking systems to monitor vehicles, equipment, and assets. GPS Tracking allows you to maintain greater control over a specific asset or piece of property. This can include simple things like the logistics involved in transporting inventory as well as certain elements of customer service. When integrated with the proper software it allows business owners and managers to know the precise location of an asset. If something is lost, stolen, or misappropriated GPS tracking can significantly reduce the amount of time it takes to find the item in question. Customer service professionals in various industries might also benefit from GPS tracking systems. In a retail setting knowing where inventory is or how long it may take to arrive can help with order fulfillment. When it comes to material distribution and supply GPS tracking can also be to develop a more efficient logistics plan. Stress management might also be a big benefit offered by GPS tracking. It can give parents peace of mind that their child is where they should be at the correct time. It can also help find a lost pet. In a business setting, company vehicles can be integrated with GPS tracking. This helps managers and business owners make sure that the vehicle is being used correctly and not simply for the employee’s personal transportation or enjoyment. GPS tracking devices are also easy to use. They can often be placed or installed in a short amount of time. The software used by them and used to interpret their data is relatively intuitive. Many GPS tracking device manufacturers will have some form of GPS software available for sale to help users make the most out of the data the unit collects. Many GPS tracking systems are compatible with mobile devices, smartphones, and tablets. Some of these devices come with or can be fitted with a GPS tracking device. This can help locate it if it’s lost or to ensure that the individual carrying the device is where they should be at any given time. Security systems can also benefit from GPS tracking systems. They provide the ability to secure a vehicle or a piece of property from being stolen, even if it is at a remote location. In the event that something is stolen or misused the GPS tracking device can speed the retrieval process. When does a GPS tracker start tracking? A GPS tracking system can essentially be activated as soon as it is installed. A small remote unit placed on something like a vehicle or a piece of property will continue to work so long as it has battery power. Some new batteries can reportedly last for weeks to even years depending on how frequent the tracker pings out and transmits data for example, once a day, whereas older batteries were limited to anywhere between two to five days when the signal tracks every few minutes. A hardwired GPS tracker that runs off a vehicle’s primary electric system, will continue to operate so long as the vehicle’s battery remains charged. A few sophisticated GPS trackers can be programmed to start tracking only when the vehicle or asset is in motion. This can potentially thwart an electronic bug detector sweep that’s performed when the vehicle is parked! There are some instances where a GPS device doesn’t have sufficient signal connection from something like entering a tunnel. In the case of cell-based GPS tracker, this could also happen if there isn’t a cell tower within range. It’s also worth noting that there are a few different times and places where less than 4 satellites are available, which can impact the GPS tracking device’s accuracy. Features of GPS Tracking device? GPS tracking system features can vary from one manufacturer to the next depending on the units intended purpose. Many come with their own suite of software to help users make the most of the information the tracking device collects. Real-Time Tracking allows the user to monitor the current location of a vehicle or asset on a map. The GPS tracker will be displayed on a map as it moves from point to point. This also allows the vehicle’s speed to be monitored. If necessary, multiple vehicles can be grouped and managed all at the same time using a special software interface. Trip Histories allow the user to graphically track numerous trips on a map. It includes interpretive data such as miles traveled, times and places stopped, the amount of time spent idling, and engine activity time as well as things like average speed. Times, when the vehicle was speeding or driven recklessly, can be highlighted on the map. Alerts can be set up to note times when the vehicle started operation, may have exceeded the speed limit of a particular road, deviated from their appointed route, or stopped excessively. This information can then be interpreted to help assess driver behavior patterns as well as find ways to improve efficiency. Geo-fencing is a type of customized alert. The user inputs geographical boundaries called Geo-Fences on the map. Most are based on easily discernible landmarks. An alert is then sent out if a vehicle or other asset exceeds the established range of the Geo-Fence. Historical Reports and Dashboard summaries are a helpful tool for fleet managers who have to deal with advanced logistics and monitoring multiple transportation vehicles. It allows them to analyze the information for a given period of time so they can make better-informed decisions on planning routes I the future. This information might also be helpful for keeping track of fleet maintenance as well as improving driver safety and efficiency. GPS tracking reports are used by many businesses to add an extra level of efficiency while also providing management with added peace of mind. It’s an efficient aspect of GPS tracking software that spares management the hassle of having to log in and interpret reports every day. Instead, they simply enter the criteria of the information that should be tracked. The software will then present critical analysis in an easy to read format. Trip histories are most often used by transportation companies, delivery companies, and businesses who provide employees with company vehicles. It is a special feature in a GPS tracking device’s software that interprets key pieces of data such as travel times, places stopped, amount of time spent idling, and engine activity time as well as things like average speed. This information can be further filtered and interpreted to improve driver training, track vehicle maintenance needs, and improve route planning. These efficiency improvements can pay a very large return on investment compared to the minimal cost of the GPS tracking device and the related software. A Geo-Fence alert can be used in a variety of ways. The user sets up parameters in a tracking program. An area is defined with easy to discern boundaries. Any time a tracked vehicle or asset goes outside of the Geofence it triggers an alert. This might be used by a corporate campus to make sure that shuttle vehicles don’t leave the grounds. It might be used for security purposes in monitoring access of visitors to the site. A commercial property like a warehouse complex might also attach GPS tracking devices to key assets, inventory, or pallets to ensure that they are where they are supposed to be at all times. A panic button used to be an item that you press and it makes a loud noise to alert the people around you to danger. In the past, this might have even been as simple as carrying a whistle with you. Today, GPS technology has evolved panic buttons to play a much larger role in personal safety as well as other applications. A GPS tracking panic button sends a signal that is keyed to a particular person or asset. When it is activated the alert and other pertinent information is then entered into a system which quickly contacts the authorities. Some of these systems also include a direct communication feature. Some of the more common uses for a GPS tracking panic button are associated with health and safety concerns for children as well as the elderly. It allows them to push the button in an emergency for access to help. It can also be done discreetly if the individual doesn’t want to immediately alert those around them. GPS tracking panic buttons can come with different features and parameters. With some, you can establish a safe zone that is very much like a Geo-Fence. Anytime the device passes beyond the stated bounds and alert is issued. This feature can be especially handy for keeping a child close to home or a stated safety zone. With some elderly individuals suffering from dementia, a safe zone alert can help notify staff if they accidentally wander outside the safety of the grounds. A panic button system also has value in business and commercial applications. If for instance a driver is in an accident, is injured loading cargo, their vehicle breaks down, or they are trapped by inclement weather, A GPS tracker with a panic button can help the proper authorities to reach them. It can also help communicate their location to other services such as tow trucks, and repair technicians. GPS tracking devices need the power to operate. Without a consistent source of electricity, they cannot accurately receive or transmit signals, or record data. With a hardwired GPS tracker, the unit draws its power directly from the vehicle’s own electrical system. However, most other GPS devices need some form of battery to operate. A decade or so ago battery technology was still in its relative infancy. Advancements in portable electronics have increased the demand for more efficient batteries with a longer charge life. This has carried over into GPS tracking devices. Temperature and the amount of power that a GPS tracking device uses will have a major impact on the overall life of a battery pack. A tracking device that needs to send out a signal for tracking movement in real time, will likely consume power at a faster rate than a passive GPS tracker that simply records data based on the signal it receives from satellites in orbit. Remove ignition disable features are a relatively new advancement in GPS tracker technology. Most are hardwired into a vehicle, which includes its onboard computer system. In the event that the vehicle is stolen or misused the remote ignition disable can be triggered. This means the next time the car is stopped the ignition won’t be able to engage. The GPS tracking device can then also help authorities locate the vehicle quickly. Speed alerts GPS trackers come in a few different forms. Some can be hardwired into a fleet vehicle or company car to monitor anytime the driver exceeds the speed limit. Others simply plug into a cigarette lighter or power port and may or may not come with a second digital display. Some insurance companies offer speed alert GPS devices. Drivers who stay under the speed limit, and meet other safe driving criteria might receive a discount on their auto insurance premium. Vehicles use either fuel or electricity to transport people and materials from one point to the next. Many transportation companies and businesses that offer company cars realize that fuel efficiency can have a major impact on their bottom line. When a vehicle is idling it isn’t moving, yet it’s using up precious fuel. This might be due to traffic, inefficient route planning, or even employee misuse. Idle alters can be included in real-time monitoring, as part of a trip history, or included in scheduled reports. Where Can You Hide A GPS Tracking Device? Of course, not everyone is comfortable with the idea of being tracked by GPS technology and having their data scrutinized. This might include employees, and independent contractors as well as individuals engaged in less-than-legal activities. There has been more than one cheating spouse who has been caught due to a simple GPS tracking device concealed in their vehicle! How the GPS tracker is powered may influence where it’s hidden and how much effort it might take to disguise it. For example; a hardwired GPS tracking device that runs off the vehicle’s own electrical system can be disguised in many different ways within the interior of the vehicle. However, it takes time to install such a system. On the other end of the spectrum a battery-powered GPS device with a simple magnet attached to the back can be put inside a wheel well or under a trunk in a matter of seconds! You or your company own the car. 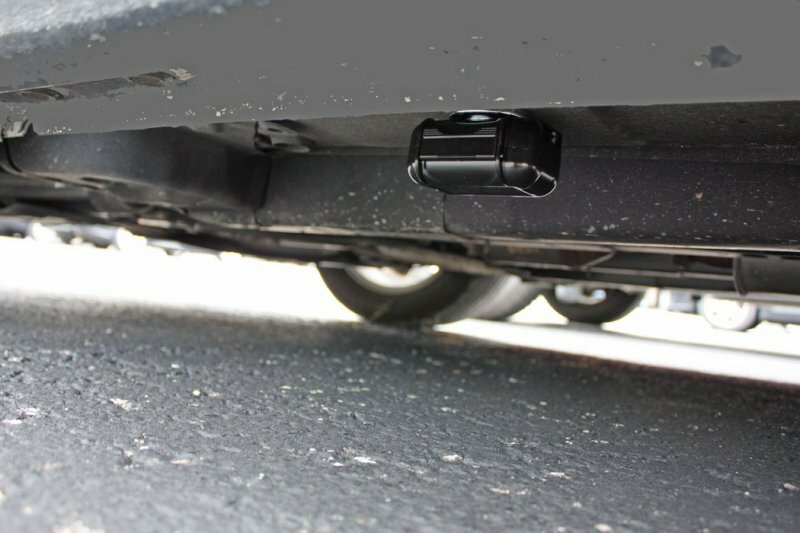 You or your company do not have the vehicle, however you place the GPS gadget on the outside of the vehicle– under the rear bumper. The automobile is visible to the public– in a public parking lot or on a public street. You can get the exact same location or travel info by physically trailing the automobile. The car is not located on someone else’s private property. It’s normally unlawful to use a GPS monitoring device if:. You have to get into the automobile to situate the gadget. You have to physically hard-wire the gadget inside the car. The car is in a location where its owner has a sensible expectation of privacy– in a personal garage. You should has an idea that the laws governing GPS tracking by government representatives, cops or civilians are not conclusive. The 4th Modification and other state and federal laws grant United States homeowners certain protections to their personal privacy, consisting of stringent limits on unlawful search and seizure. There’s absolutely nothing in the Constitution that particularly resolves GPS tracking technology– or many other kinds of electronic security. The Supreme Court and a number of lower courts provided rulings on GPS in 2012, however those decisions took care of narrow uses of the technology by authorities and employers, respectively. The courts didn’t deal with using GPS tracking gadgets by civilians. With its current ruling on GPS tracking by police, the Supreme Court left lots of concerns unanswered. The justices indicated that they were prepared to dig more deeply into electronic monitoring issues. You can read more about the most recent Supreme Court decisions online. Any questions, always consult with your local attorney first before purchasing. How To Find a Hidden GPS Tracking Device? Not all GPS tracking devices are designed to be hidden. Yet the vast majority of them are small enough that they can be discreetly placed and go unnoticed. At the same time, there are some legitimate reasons why someone might want to track your vehicle or your personal movements. These days businesses with company cars and transportation fleet managers are turning to GPS tracking technology to help improve efficiency while also making sure that the vehicle isn’t being misused. Simple GPS trackers for vehicles are widely available at the retail level in big box stores, as well as specialty stores that provide technology options to people like private investigators and skip tracers. There are also many online retailers who sell GPS trackers with sophisticated software, and long-life batteries that can be used on their own or incorporated into a suite of other surveillance equipment. Vehicle GPS trackers are either active and passive. An active GPS tracker uses the Global Positioning System to determine its location and then it transmits that information via a cellular connection, whereas passive trackers record and store location data. It must be physically collected again and downloaded in order to be analyzed. One of the best ways to know if there is an active tracker, is to use a GPS detector. If there is an active GPS tracker in your vehicle, an outside party can use a computer or other wireless device to see where you are in real time. Some of these devices will also give them the ability to view a record of where you have been in the past, as well as other information like your idle time, how fast you drive, or other data. If a passive GPS tracker is attached to your vehicle, the outside party won’t immediate access to real-time information. To be able to access any of this data they will need to retrieve the GPS tracker. Different GPS trackers can be hidden in different ways. Using a GPS tracking detector will let you know immediately if there is a possible tracking device nearby. If you suspect one has been concealed inside or on your vehicle, there are things you can do to try to find it. For starters, you will need some special equipment including a flashlight, and a mechanic’s mirror, a mechanics creeper, a large piece of cardboard or mat so you slide under the vehicle. Then, drive your vehicle in a wide circle prior to using the GPS detector. This will activate the motion detector inside the unit which will set off a cellular transmitting signal. This signal can be picked up by a RF bug detector. Sometimes a simple visual inspection is enough to find a GPS tracking device. However, there some that are specifically designed to be hidden or the outside party might have gone to great lengths to conceal it. Should this prove to be the case, you might need some special equipment like an electronic sweeper or bug detector. It’s best to take a methodical approach to find a concealed GPS tracking device. Many trackers are placed in areas that are easy to reach. Especially passive trackers that need to be quickly retrieved. Electronic bug detectors can often be found in the same stores that sell GPS trackers. They are typically easy to use handheld devices which are capable of detecting electromagnetic signals. This includes radio transmitters and cellular signals like those used by active GPS trackers. Some sophisticated GPS tracking devices can be programmed to only transmit when they are in motion. This could make it very hard to find them when the vehicle is parked. Also, passive GPS trackers don’t use an active cellular signal which means they can avoid a signal sweeper. Depending on the technical savvy of the outside party, and how long they had to conceal the device you may need to turn to a professional for help. Some mechanics and electronic specialists have the tools and experience to find a GPS tracking device. There are specific types of bug detectors that are designed to find hidden GPS tracking devices by pinpointing the cellular signal they eminate. If an electronic sweeper finds a suspicious signal it will vibrate, light up or otherwise alert you suspect signal. At that point, you can choose what the best method is to physically find the device, which might include taking a panel apart or seeking out a mechanic who can assist you. Keep in mind that some active GPS trackers can be programmed to transmit only when they are in motion. This means you might need to have someone help you by driving the car, while you run the sweeper. What Should You Do If You Find a GPS Tracking Device? Many concealed GPS trackers rely on battery power and are attached by a powerful magnet or strong tape. Some are plugged into the vehicle’s power or data port and draw power that way. With these, you can simply pull the unit out and discard it or move it to another vehicle. However, there are some GPS tracking devices that are hardwired into the vehicle’s electrical system. Removing these can be dangerous and could also damage the vehicle, so you may want to seek professional assistance or law enforcement. There are also strategic questions to consider. Who placed it there? If it’s a company vehicle, removing the GPS tracker might be illegal. 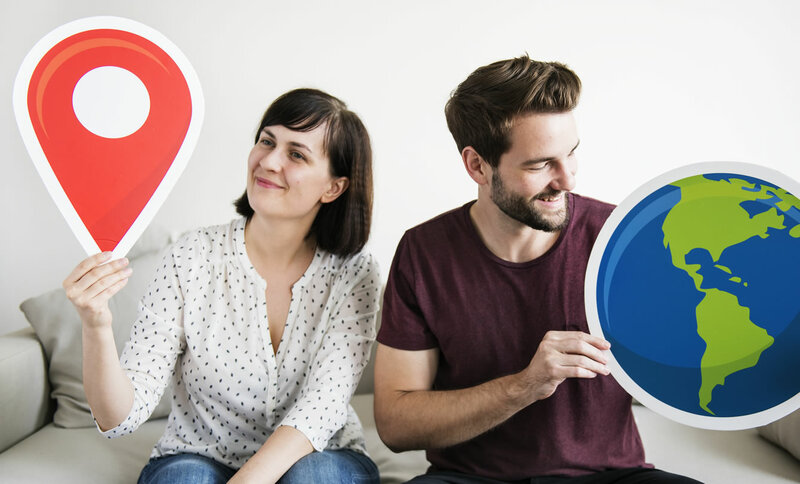 If it’s a jealous former spouse, you may need to consider legal actions. How to disable a GPS Tracking device? Let’s say you are well within your contractual and legal right to remove the GPS tracker from your vehicle, or property. The method that’s best for removing it or disabling it might vary depending on what type of device it is. If they are a magnetic tracker, removing is simple once found. 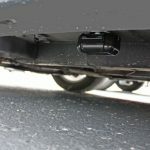 In some cases, you might want to leave it attached to prevent the outside party from becoming suspicious, so it’s best to take it to a mechanic or bring the the vehicle to the authorities for the best course of action. GPS trackers can vary in price from as low as $19.99 to over $600+ This doesn’t include things like monthly fees or special upgrade features. In general, the more sophisticated the GPS tracker is, and the more data it is designed to collect, the more it will likely cost. Does GPS Tracking Have Monthly Fees? Passive GPS tracking devices and basic models generally don’t have a monthly fee associated with them. Real-time GPS trackers need a cellular data plan to transmit the location data to servers in the cloud, this data plan is what costs money. However, there are some additional services that are typically associated with real-time or active trackers that may have some monthly fees beyond the standard monthly fee for data transmission use. This is more common for things like fleet trackers, that often rely on things like updated maps as well as periodic software upgrades. Real-time trackers that use a cellular signal to transmit data may also have additional fees associated with them. Typically the fees are determined by the amount of data use, just like your data plan on your cell phone. The more data you use, the more expensive it becomes. So tracking once a day, or on demand would use considerably less data than if you were to track once a minute. There are some Data Logger GPS tracking devices that have no service fees. When you purchase these a chip is included as well as some basic software. In time, the company may release updated maps, which might have an additional upgrade cost associated with it. What Types Of Businesses Can Benefit From A GPS Tracking Device? Keeping track of vehicles, equipment, and key materials are critical for long-term success. Live tracking of materials and employees as well as company vehicles helps efficiently manage the bottom line profits. When it comes to delivering products finding the shortest route, understanding the distance between two different delivery locations and other logistical concerns can be better planned with accurate GPS tracking. Vehicle and equipment maintenance can be tedious. It also can involve several different types of related data, which can be keyed to specific alerts or can be integrated into a scheduled report. Tracking vehicles that are in service can help meet the needs of clients who have time-sensitive or emergency plumbing problems. Many office equipment businesses require staff and equipment to be moved and worked on at the client’s site. Tracking company vehicle’s and employee movements help with accountability as well as vehicle efficiency. Most landscaping companies have staff and equipment spread out amongst multiple client sites. Being able to track vehicles and specific equipment can reduce your need to hire field supervisors, while also making it easier to plan logistic movements. The energy industry relies on the efficient movement of equipment, and materials. Accurate tracking can help with logistics planning. At the same time, service vehicles with GPS trackers can help you accurately plan what services need to be allocated where to handle an outage, or system repairs and upgrades. Tracking vehicle locations can help with response times, as well as maintaining situational awareness of multiple events that may be occurring at the same time. Contractors, construction companies, utility companies, and municipal institutions are just a few of the many entities who use valuable heavy equipment in their day to day operations. When a piece of equipment is lost, stolen, or misused it can halt operations, and may lead to even more significant delays. When heating, cooling, and other types of ventilation systems go down, it is often an emergency situation for the customer. Being able to know where specific vehicles and equipment is in real-time can help get your client’s the services they need as soon as possible. Exterminators, animal control specialists, and other pest control organizations are often spread out over their service area on any given day. Whether it’s for municipal services or commercial properties, snow removal is serious business. Areas that are missed, or that aren’t safe can affect liability issues and leave a large number of people in unsafe conditions. Being able to track the fleet’s movements can help with efficiency, safety, and ensure thoroughness. Tow truck fleets can be dispersed over a wide area. Making sure you know where each tow vehicle is at any given time can improve dispatch and response times. When the data is analyzed it might also reveal traffic patterns that could further improve fleet efficiency. There are many types of waste disposal vehicles. Tracking their movements ensures that all aspects of a service area have been covered. Where Can I Buy A GPS Tracking Device? There are a lot of places where you can buy a cookie-cutter GPS tracking device. Most are passive devices that simply run on batteries. Quality can vary, and like anything you buy from a big box store, there are no specialists on hand to answer your questions. This can be very frustrating when it comes to using it, installing it, and working with any accompanying software. There are online merchants who also offer some relatively high-end options. Some have trained customer service staff who can help. Yet most simply deal in the broad range of consumer electronics that happens to also sell the occasional GPS tracker or electronic sweeper device. 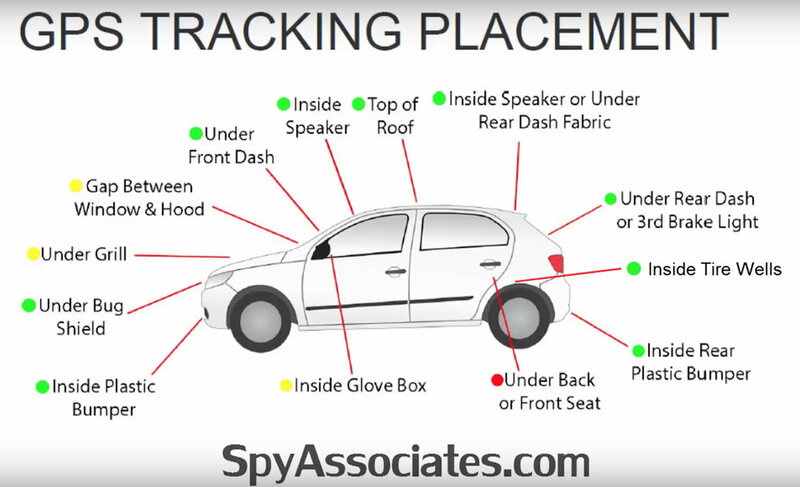 If you need to track an entire fleet of vehicles, or you have more specific needs it’s best to seek out a company like spyassociates.com , who specializes in GPS Tracking and other electronic monitoring devices.